MICHAEL A. VENTRELLA: I’m pleased to be interviewing Jody Lynn Nye today. Since 1985, she has published 39 books and over 100 short stories. Among them are her epic fantasy series The Dreamland, five contemporary humorous fantasies starting with MYTHOLOGY 101, and three medical science fiction novels starting with TAYLOR’S ARK. STRONG ARM TACTICS, a humorous military science fiction novel, is the first of Jody’s new series, The Wolfe Pack. Jody collaborated with Anne McCaffrey on four science fiction novels, and edited an anthology of humorous stories about mothers in science fiction, fantasy, myth and legend, entitled DON’T FORGET YOUR SPACESUIT, DEAR! 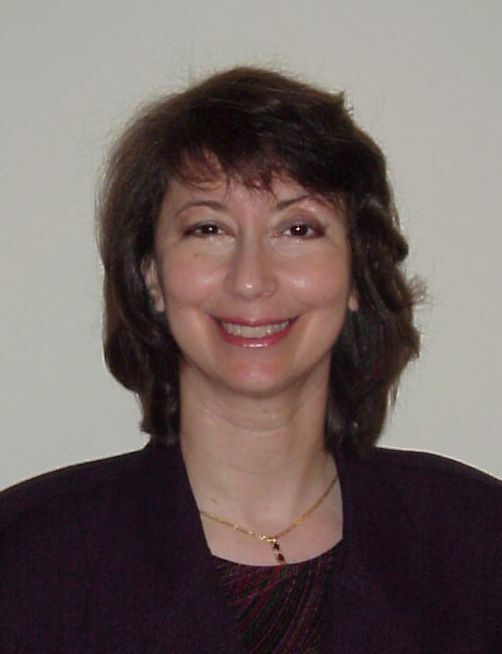 She has written eight books with the late Robert Lynn Asprin. Her web page is http://www.sff.net/people/jodynye. Jody, I first became aware of your work with the fun MYTHOLOGY 101 series. Was MYTHOLOGY 101 your first published work? 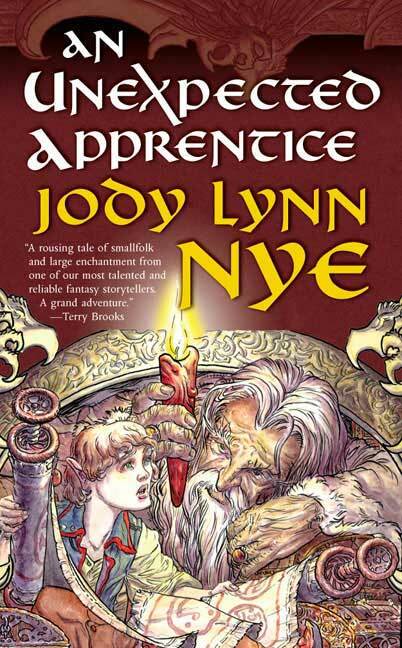 JODY LYNN NYE: MYTHOLOGY 101 was my first solo novel, but not my first published work. I wrote some humor and short pieces (unpaid) for various digests and newsletters after college. While I was working for WFBN-TV in Chicago, I contributed technical articles for Video Action magazine. For those, I was paid sometimes in money, but sometimes with technology items that VA had been given to review. My first paid work was for Mayfair Games, Inc. They published the Role-Aids game supplements to Dungeons and Dragons. I wrote modules for D&D and the Ellery Queen Mystery Magazine game. Because of the game materials, I had credentials to ask to be included in the Crossroads game book series for TOR Books, which were choose-your-path novels but based upon established science fiction or fantasy series. I had volunteered to write adventures for a couple of other books in the series until Anne McCaffrey gave consent to allow the creator/editor of Crossroads, Bill Fawcett, to commission Pern-based adventures. As a big fan of Anne’s, I couldn’t resist dropping my previous selections and writing one of those. That first Crossroads book was DRAGONHARPER (not to be confused with the current novel by Anne & Todd McCaffrey, DRAGON HARPER). It was published in 1987. I eventually wrote four Crossroads adventures, two in Pern and two in Piers Anthony’s Xanth. 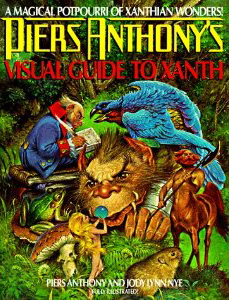 Once Anne and Piers found I was easy to work with and respected their worlds, Bill had me write the VISUAL GUIDE TO XANTH and the DRAGONLOVER’S GUIDE TO PERN. The DLG is in its second edition and who knows which printing. I wanted to work on my own novels, of course. 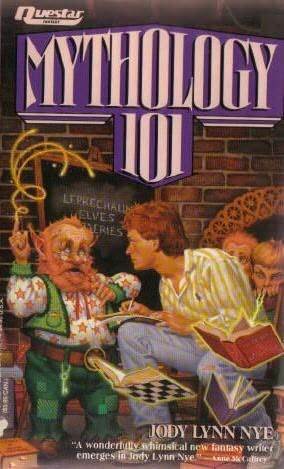 I sold MYTHOLOGY 101 to Brian Thomsen of Warner Books in 1988. I did not have an agent, but as you may know, SF/fantasy editors are far more accessible to fans and would-be writers than in many other genres. I got to know Brian through friends and professional contacts. At a SF convention, I chatted with him about my concept for the series, and he asked to have me send a proposal to him at Warner (note to aspiring writers: do not try and load an editor down with paperwork at a convention. Always send it to their offices.). He bought it, and I was off to the races. 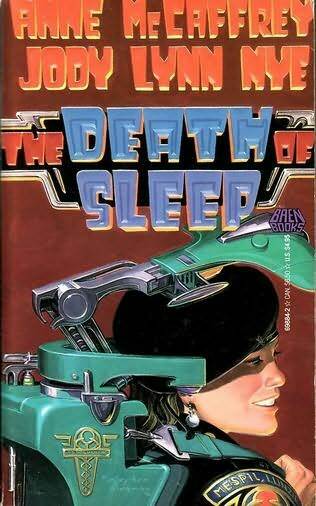 MYTHOLOGY 101 came out the same year as the first of my collaborations with Anne McCaffrey, THE DEATH OF SLEEP. So far, there have been four books in the series. VENTRELLA: I always imagined that the idea must have come to you while secreted in some college library. Is that true? What was your influence for this series? NYE: You are absolutely right. The Midwestern University college library is based upon a real library. If you had ever seen the original, you would be able to identify it. Some alumni of that university have come up to me and asked about it. In fact, the library itself was the influence for the series, not the characters. Those came later. In the carrels among the nine-story stacks, it was warm and quiet — except for the sounds of distant voices. I could never make out what they were saying. It was odd, because no one around me was talking, nor was anyone in the reading rooms out front. The sensation of the disembodied voices stuck in my mind for years. Finally, one day I began to think about it. Where were those voices coming from? Who were the speakers? And somehow, they became the little people who lived in the basement of the library. VENTRELLA: Will we ever see another MYTHOLOGY 101 book? NYE: I certainly hope so. 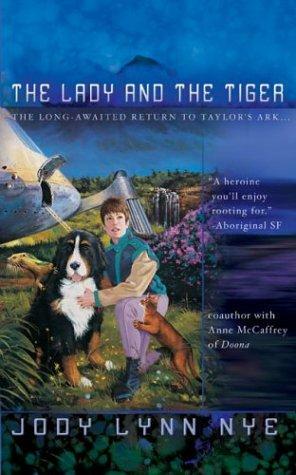 From Warner, the series moved to Meisha Merlin Publishing, which ceased to publish a few years ago. I would dearly love to place the Mythology series with another house. I have more stories to tell. After all, Keith and Diane finally got engaged! VENTRELLA: More than most authors, you’ve managed to work with some of the biggest names in speculative fiction. How did these arrangements come about? One of the many hats Bill wears is that of ‘book packager.’ His function is to create a book or series, staff it with one or more authors, supply illustrations and maps if needed, possibly even commission the cover from an artist, and put the whole, production-ready package into the hands of a publisher. It is what a publishing house would do for itself if it had far more employees than one typically does. 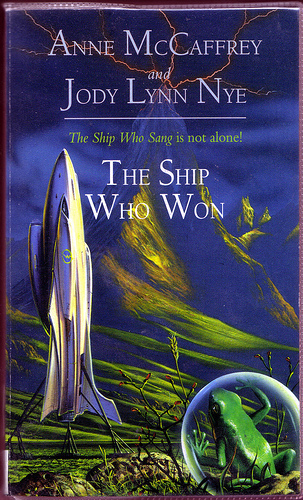 In the late 1980s, Bill created a package for Baen Books that paired CJ Cherryh with three junior writers apiece to write a series of co-authored novels. CJ’s was “Sword of Knowledge”, and included Nancy Asire, the well-known filker Lesley Fish, and a new fantasy writer named Mercedes Lackey. These series gave the senior writer a chance to have ideas for which s/he had no time to do alone, and gave a boost to the career of the junior writers, who would get to work closely with a noted name in the field whom they admired. A few years later, Bill interested Anne McCaffrey in trying the same thing. She liked the idea, because she had always had more ideas than she would ever have time to write in some of her non-Pern series. 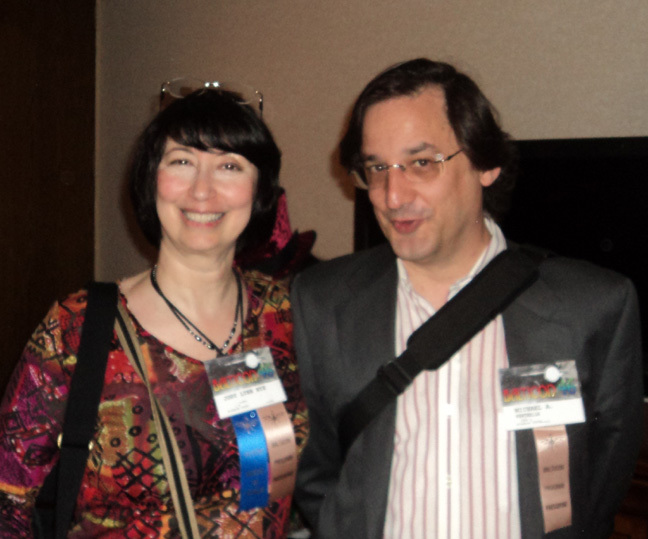 I was one of the three noobs who were signed on to co-author books in the Planet Pirate trilogy with her. She already knew my work from the DLG and two Pern Crossroads books. She and I wrote THE DEATH OF SLEEP. Chronologically, it is the first novel in the trio, but was published second, after SASSINAK, by Anne and Elizabeth Moon. VENTRELLA: How did you meet Robert Asprin? 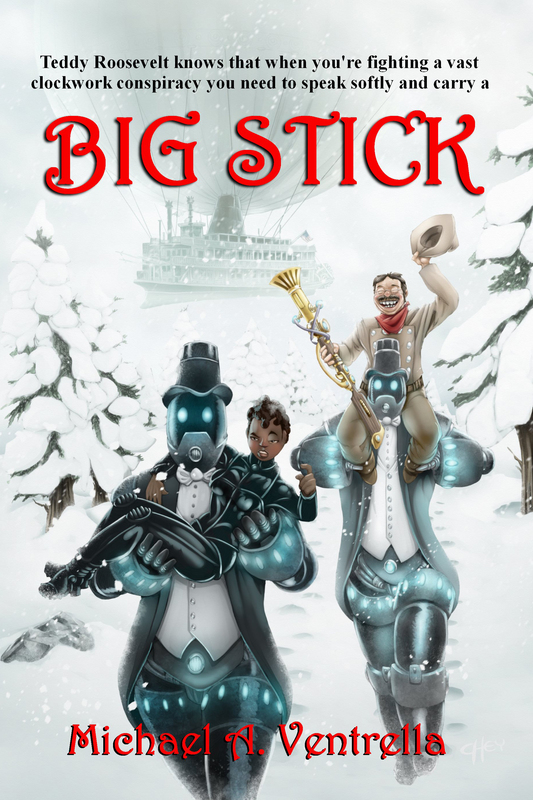 NYE: I read ANOTHER FINE MYTH the year it was published in mass market paperback by Ace Books. I loved it. At the time I never thought I would ever meet any author at all, let alone end up collaborating with Robert Asprin on eight books. It’s funny, but I seemed to have been following Bob into so many places long before I met him. I was a member of the Society for Creative Anachronism in the late 1970s, early 80s, but he, known there as Yang the Nauseating, had already stopped going to events. His legend, however, persisted. I knew dozens of stories about him. How he had founded the Dark Horde. How he was mischievously disrespectful to the king. His songs. His quips. His legendary prowess with women. When a friend whom I knew from the SCA took me to my first convention, I found at least one more Myth book in the dealers’ room. I heard legends of Bob. His perpetual ‘office’ in the hotel bar (sort of a permanent party). His love of Irish whisky. His friendship with Gordon R. Dickson. His irrepressible humor and memorable filks. His legendary prowess with women. But he had already stopped going to so many conventions, so I never ran into him. It was not until Bill, then my fiancé, took me up to Ann Arbor to meet Bob and his wife, fantasy author Lynn Abbey, that I met the man himself. Bill was one of Bob’s closest circle of friends. At the time, Bob was writing his own books as well as co-editing the shared-world anthology series Thieves’ World with Lynn. He and Lynn were so kind and gracious to me, a baby writer, that the impression has never faded. Bob was encouraging about my efforts in humor fiction, but at that time the subject of collaborating didn’t come up. Later, when Bob had some trouble with writer’s block, we agreed to try writing together. We found we were very compatible as co-writers. We had a lot of interests in common, which meant we got one another’s jokes. 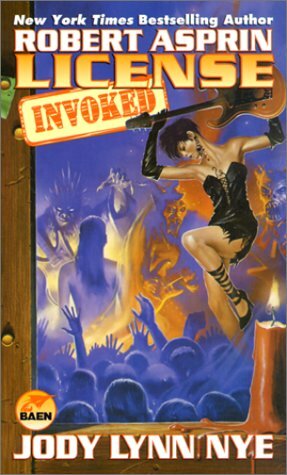 Our first book was LICENSE INVOKED, a novel about spies, magic and rock and roll. 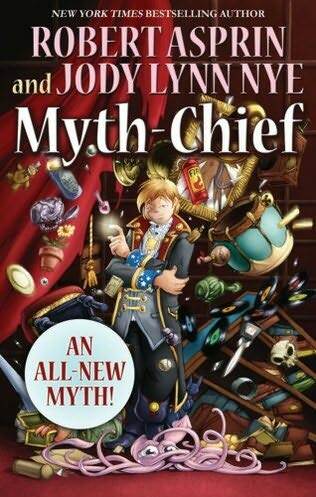 VENTRELLA: When working on the Myth Adventures series with him, how much input did he have? NYE: We communicated mainly by e-mail and in person at conventions. After the first Myth novel, MYTH ALLIANCES, we would get together at DragonCon in Atlanta every Labor Day weekend and work out the plot over a table in one of the restaurants. When we got going, the ideas came out faster and more furious than a hive of angry bees. It was a lot of fun. We threw around plenty of concepts; what we didn’t use for the book that year I squirreled away in a laptop file to discuss at future dates. Bob was not great at keeping notes, and I type faster than he did. VENTRELLA: What sort of arrangement do you have to continue the series? NYE: Ace Books has purchased two new Myth novels (and one Dragons novel). I am already working on the first one. VENTRELLA: How did your collaboration with Anne McCaffrey work? NYE: Each of the four collabs I did with her was different. On THE DEATH OF SLEEP, she had a basic outline for each of the three novels. Since they were being written simultaneously we juniors had to adhere to the structure we were given to maintain series continuity, though we had room to add our own ideas. I wrote the first draft and sent it to Anne. She worked on it and sent it back to me. I made changes or corrections, then it went back to her for a final look and polish. As the senior writer she had the final say on everything, but she was intensely generous with me. For example, she had no problem using one of my ideas if she liked it better than her own. I learned an incredible amount from her. VENTRELLA: Do you find collaborations easier or harder than writing on your own? NYE: They go faster than solo books. When you are bouncing ideas off another person, you can crank out a lot of energy. That’s not to say that when I am working alone I don’t cackle over my keyboard at something that strikes me as funny and pound the keys at top speed to get it down. Collaborations are more work because you can’t just keep an idea in your mind and come back to it later. You must share everything with your co-writer that you expect or hope to have in the final manuscript. You must prepare to compromise and respect your co-writer’s opinion and skills. Only in solo books can you get your way on everything. I think it’s worthwhile to learn to work with someone else. It’s like teaching: you learn a good deal about your craft when you have to explain something to someone else. VENTRELLA: Some writers tend to think that humor in fiction means that it can’t be taken seriously as literature, and therefore should not be considered as “worthy”. What’s your take? NYE: I deplore the fact that just because something makes one laugh that it is not worthy of the respect enjoyed by tragedy. Without the light moments, no one could stand all the dark ones. Those writers who don’t consider humor to be literature have to turn their backs on Mark Twain, Anthony Trollope and many others whose books occupy the Literature shelves in bookstores and libraries. Shakespeare’s comedies are held in the same esteem as his dramas. I would put up a Terry Pratchett Discworld novel against any number of popular dramatic novels that I don’t consider nearly as well written. 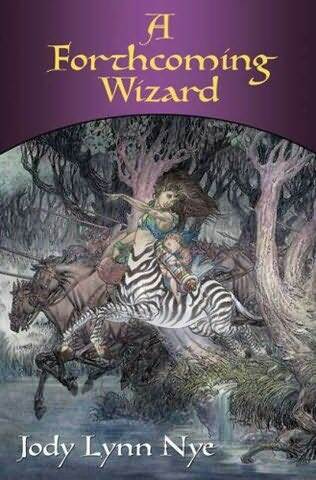 VENTRELLA: Your most recent work, A FORTHCOMING WIZARD, is a stand-alone novel. What’s it about? NYE: That is actually the second half of an epic fantasy I wrote for TOR. It does stand alone, the vicissitudes of publishing being what they are, but I hope people will seek out both books. The first half is called AN UNEXPECTED APPRENTICE. The story concerns a smallfolk girl named Tildi Summerbee who, like Frodo Baggins, is thrown into an epic struggle not of her making. She comes into possession of a page of the Great Book, a magical tome that can change reality. Only Tildi, because of a chance gift from her parents, can touch the book without being harmed. She becomes part of a fellowship to regain possession of the book and restore it to a place of safety before it destroys the world. NYE: Already finished and heading for your shelves in December is DRAGONS DEAL. This is the third in the Dragons series created and written by Robert Asprin for Ace Books. The first two were DRAGONS WILD and DRAGONS LUCK. The copy-edited manuscript of the second landed on my doorstep only a few weeks after Bob died. I took care of it, and some time later, when we had all recovered a little, the editor asked me if I could and would continue the series. I hope that our readers will enjoy it. The Dragons series is about a brother and sister named Griffen and Valerie McCandles who discover that they are hereditary dragons. And they are by no means the only dragons out there. Hence, drama and comedy ensues. DEAL takes place during Mardi Gras. As the series is set in New Orleans, where Bob lived the last many years of his life, I felt that was fitting. At Baen Books, I have an entirely new humorous SF book, which I hope will become a series, called VIEW FROM THE IMPERIUM. If you ever read P.G. Wodehouse’s Jeeves and Wooster books, you will understand something about my two main characters. Thomas Innes Loche Kinago is a foolish, spoiled, rich, good-hearted young noble who has never had to work a day in his life. He has just graduated from the space academy and is serving his required stint on a warship. His duties, as he is a noble (pretty nearly useless in this society), are nominal. That’s not to say he can’t spin a perfectly ordinary assignment into chaos. To keep him from doing more damage than is strictly necessary, Thomas has assigned to him an aide de camp, Commander Parsons, who seems to know absolutely everything, and is never at a loss for the right action to take. VIEW FROM THE IMPERIUM is due out in April of 2011. VENTRELLA: When creating characters, how do you make them real and believable to a reader? NYE: As CJ Cherryh said during a panel discussion I once sat on with her, in the end all stories are about people. The protagonist of a story, or at the very most distant, the sidekick, needs to be someone with whom the reader can identify. In the Sherlock Holmes stories, it is Dr. Watson, a nice, normal human being, intelligent, caring and devoted, with whom most readers feel empathy. For us, Watson asks why. Through him we feel involved in the action. The reader will be drawn into the book by a compelling proxy. I need to know what motivates my characters. Often, a new writer will only know what s/he wants a character to do, but maybe not why. Such characters will feel wooden and artificial. Once you know where your character is coming from, you can see how it will behave in various situations. All beings have flaws. Perfect people are irritating or boring (or both). Imperfections give characters vulnerability that we understand, or can learn to understand. Hidden hurts or past events in my characters’ back stories inform their behavior. When I create a character, an image often appears in my mind. A few of my writer friends like to use celebrities as the basis of their cast, but that hasn’t worked for me. Only once have I ever run into anyone who resembled one of my characters. One thing I dislike enormously is having a character do something stupid just to advance a plot. If I have created realistic personalities, it will feel wrong if I try to steer them into an unrealistic situation. That’s not to say I can’t have a character behave stupidly –- people do dumb things all the time -– but it can’t be to make things easy for me as the writer. I owe my readers real people. VENTRELLA: I tried to avoid cliches in my fantasy novels (regarding the typical “chosen one” hero and so on) while also relying upon them too (elves, dwarves, wizards…). How does one meet the balance of creating a world that balances both? NYE: There is always an element of the “chosen one,” or else why are we reading about him or her? If that character isn’t special, then can anyone do what s/he does? What if there had been a hundred Arthurs who could have pulled the sword from the stone, but he just happened to be the one who tried that day? (Hmm, there’s an unexplored story.) But why that one, and what happened afterward to all the others? When I write a story, I have to focus upon my protagonist. What is extraordinary about this person? How can s/he succeed when others have failed? I think a successful story will tweak the reader’s perception and give a new way of thinking about the meaning of a hero/ine. Archetypes exist because they have a core of truth about the eternal journey. Cliches exist because some storytellers can only think of telling an archetypal story the way we have always heard it. I agree, there have been a LOT of books lately featuring familiar tropes like elves, dwarves, werewolves, pirates, vampires, pixies, princesses, and so on. There’s nothing wrong with using these creatures, as long as you don’t necessarily believe that they all belong in the same worlds all the time. Or if you do, have a good reason for it. Only in D&D do Aztec gods occupy the same sphere as leprechauns. VENTRELLA: You’ve also written role-playing books (a subject close to my heart, since I have been doing that for 20 years now myself). How did you arrange those? NYE: I’ve been affiliated with the gaming industry for a long time. I got into D&D role-playing when I was nineteen. It’s always been dear to my heart, though I haven’t played in a long while. My first DM introduced me to one of the partners at TSR whom I dated for a year. I ended up typing out Gary Gygax’s manuscripts for the new Player’s Handbook, Dungeon Master’s Guide and Monster Manual for Advanced Dungeons & Dragons. I guess you could call that my first job in publishing. It made me aware of the game industry, where I met an amazing number of creative people. For a short time, I worked with a couple of fellow players who wanted to create game materials. I attended every GenCon from 1977 until it moved from Wisconsin to Indianapolis. Because I had a background in role-play, I had the expertise to write for Mayfair Games and later for TOR Books’ Crossroads series, as I mentioned above. NYE: Cats are the superior species in the universe, or haven’t they told you that? I like to use the Two Cat System of writing, my take on Dave Barry’s Two Dog System. My cats specialize in holding me in one place, usually through Cat Gravity (read Robin Woods’s excellent small book on her Theory), so I have to stay put and work. Other writers I know use more or fewer cats, depending on how much inspiration they require. Some writers, like Mr. Barry, use dogs for inspiration. Cats are a convenient size for laps and do not need to be walked in the rain, so I prefer them. Also, purring is a near-magical soother to a creative person’s troubled soul. I often rely upon purring to get me through a complicated story. Thanks for interviewing me! I enjoyed your questions.